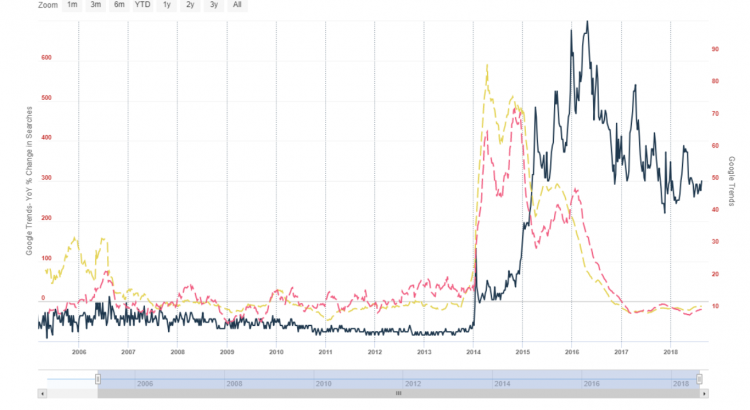 In this post, we look at Adidas’ growing popularity over the past few years, as well as its more recent deceleration. Sentieo gives us some insights into Adidas’ key strategies. The sneakers market — and actually the whole sportswear/athletic footwear sector — has been an interesting space to follow for the past few years. From the rise of yoga-inspired Lululemon (LULU), to the innovative marketing strategies that the triggered growth of German brands Adidas and Puma (PUM), through the volatility of the Nike/Jordan (NKE) brands, and the boom and bust of Under Armour (UAA). With Sentieo, we’ve been able to track and understand the activity of these companies. In this post, we will focus particularly on Adidas. The Adidas brand has experienced a strong resurgence in the past few years, thanks to the success of its unique sneaker models and powerful endorsement contracts with non-athlete superstars like Kanye West and Pharrell Williams. As a result, this celebrity-infused strategy was also implemented by other sportswear brands like Puma, whose famous personalities include popstar Rihanna. 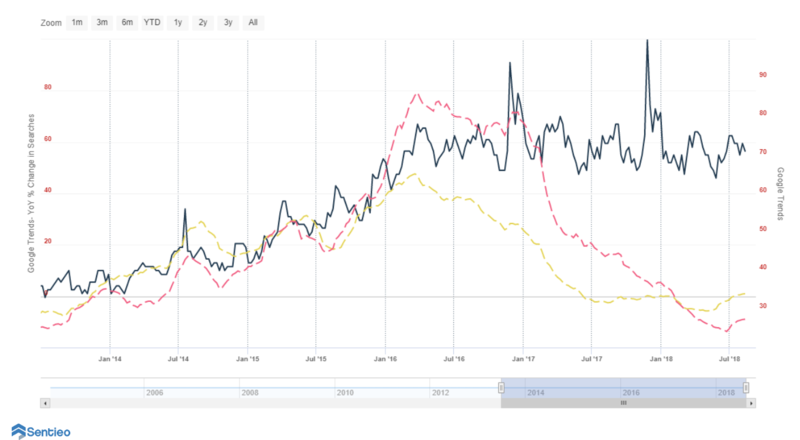 The black line shows Google Trends’ raw search data for the word “adidas,” while the pink and the yellow lines are the 3-months moving averages of the Y/Y variation of Google Trends data for the United States and the whole world, respectively. The Y/Y variation neutralizes the seasonal effects, while the moving average makes the underlying trend more visible. In addition to Google Trends, another Mosaic data set that gave us well-timed insights into Adidas’ growing popularity and subsequent deceleration was Alexa website traffic, which helps us track consumer interest. 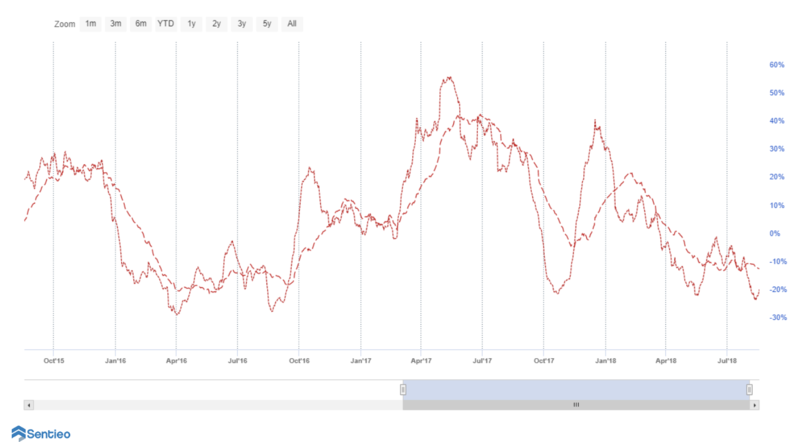 In the chart below, we plotted a 30-day moving average (dashed line) and a 90-day moving average (dashed line) for Adidas.com website views. As we can see, the strong run-up and subsequent deceleration was confirmed by the trends in website traffic as well. 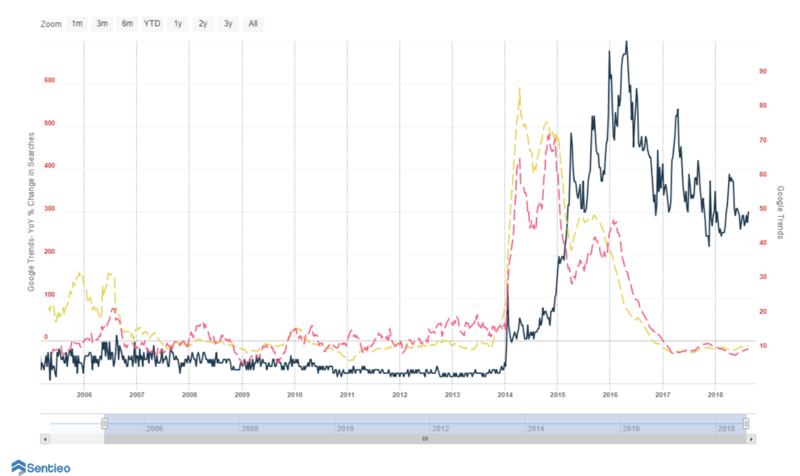 Sentieo’s alternative data tools allowed us to anticipate Adidas’ deceleration, and will continue to give us an exclusive view into the popularity fluctuations that the brand experiences. As a result of declining customer interest, Adidas’ revenue growth and growth expectations declined to low-to-mid single-digit rates, but the company is implementing other strategies to fuel bottomline growth and reignite sales momentum. Popular Adidas shoe models such as the “Stan Smith” and “Superstar” have been major contributors to Adidas’ massive revival over the past few years, which have been supported by the aforementioned endorsements and innovative marketing campaigns. While other styles such as the Ultra Boost are gaining market share at a massive rate, Adidas is actually limiting the availability of popular shoes (the two flagship sneakers just mentioned), and two models that many consider “evergreens” in Adidas’ portfolio. This kind of move, which has already worked well for Adidas in the past, has the potential to help Adidas’ merchandise margins, which have already been significantly expanding recently. As reported in the past earnings release, Adidas’ gross margin has increased by a few hundred basis points, and the recent moves may indicate an attempt to push margins even further if Adidas’ supply limitation strategy works. However, the decision to limit supply of some sneakers may also be a proactive move to avoid overexposure and excessive discounting of Adidas’ products. The number of discounts on Adidas products has increased recently, and the decision to limit supply of some key products may be a response to the growing pricing pressures generated by an excessive supply. 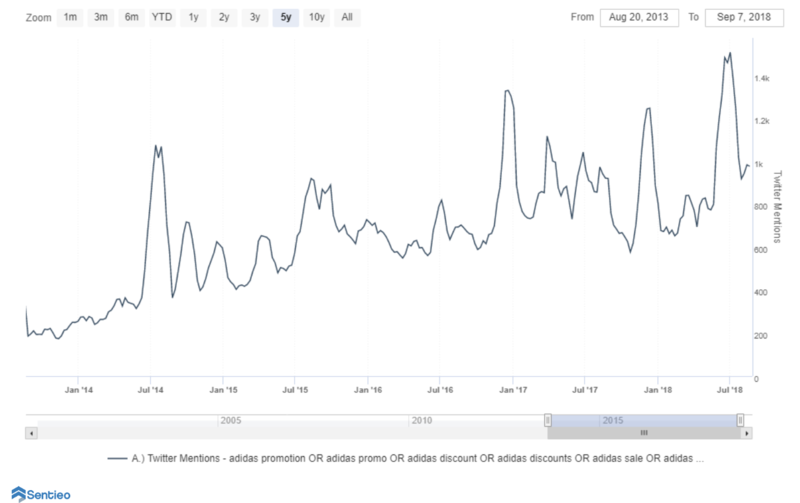 One Sentieo dataset we can use to track promotional activity around the Adidas brand is Twitter, a social media platform where brands and third-party retailers frequently advertise their special offers. We used a 30-day moving average for the number of mentions of promotional activity around Adidas products, and noticed a significant increase over the past five years, culminating in an all-time high at the end of June. Management is likely trying to trigger another growth cycle by replicating the same strategy that has already been successful. Sentieo gives us a timely, in-depth view into several fundamental trends affecting an industry, and a deeper understanding of phenomena that affect a business. In the case of Adidas, the influential factors include: the current direction of customer interests, the popularity of a brand/product, and the intensity of promotional activity — all giving us important hints about the future direction of the company’s sales and margin trends.